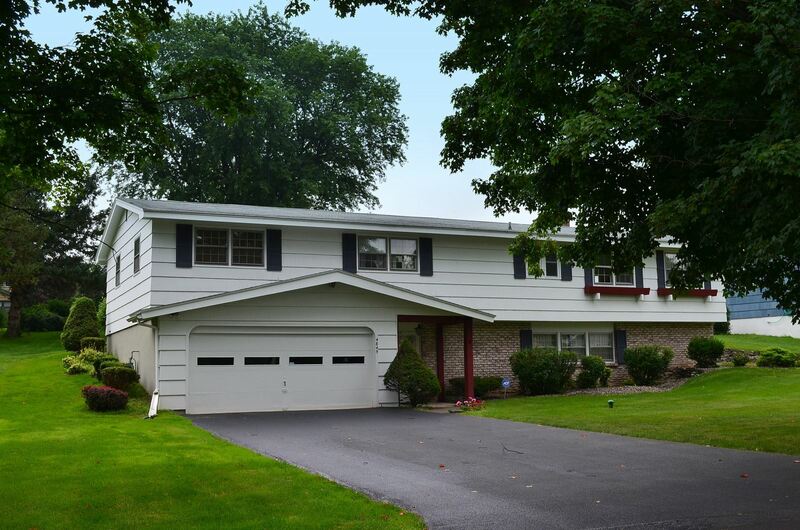 Manlius, NY Neighborhood - This quality built 4 bedroom home is located in the popular and convenient "Ross Park" neighborhood, which is close to Fayetteville-Manlius schools, parks, shopping, and major highways. Lower Level Features - The lower level features a large entry way with slate floor and shadow box molding, a large family room with a fireplace, a half bath, and a laundry area. Main Living Area Features - The main living area offers an eat-in kitchen, a living room with a fireplace, a master bedroom with a master bath, 3 other good sized bedrooms, a second full bath, and an enclosed porch with access to the expansive backyard. Exterior - The exterior offers a 2 car garage, a 0.29 acre lot and mature trees.